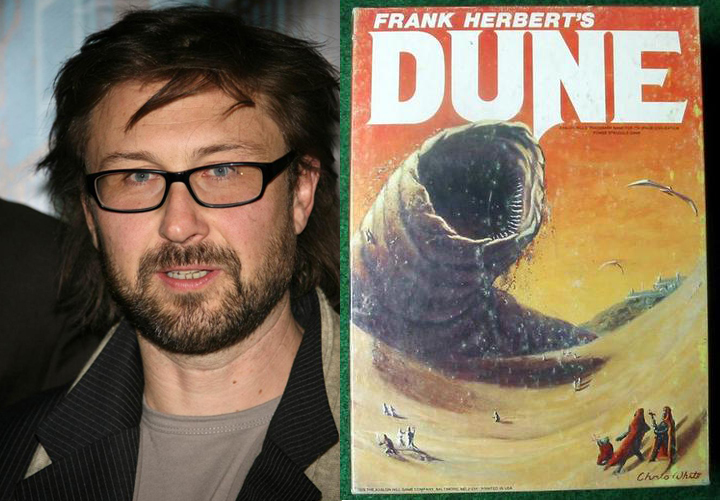 It sounds like director Pierre Morel is gearing up to dive into the film production of Frank Herbert's Dune. He's talked about his plans for the film a couple times already, but this is the first first time he's mentioned a couple of things that I haven't heard before. He reveals that they are starting from scratch, that they will not move forward with anything that the previous director Peter Berg was working on. We're starting from scratch. Peter had an approach which was not mine at all, and we're starting over again. I don't think we're going to keep any elements of the Peter Berg script. It was good, actually. It was interesting. It was just not our vision. I can't tell you right now [who's writing it with me], it's going to be official next week. The deals are not done! It's good to hear they are starting from scratch. It seemed Berg's version was going to be more of an action adventure spectacle. Morel has expressed how much of a fan he is of the novel and is planning on sticking as close to the novel as possible. He's is going to be putting a lot of focus on his Dune film and will start writing the new screenplay in February. Dune is such a huge, huge project. It's big, it's challenging, it's long-term -- we're only starting. We have to rewrite the script, we have to develop a whole universe. It's going to be a long thing, so who knows. But I'm passionate about Dune so I'd love to do it next. He then goes on to talk about how the film is intimidating, due to the fact that he's a huge fan of the book series. It's tricky. Everybody refers to both the book and to David Lynch's film, which was in a way a monument to the '80s. It became a huge event. It didn't do well theatrically, I think, but in a way it kind of marked and printed an image on Dune. Everybody now who reads Dune reads it with David Lynch's images in mind. So we have to get away from that. It's not a remake of David Lynch's movie. We're doing a re-reading, a brand new approach on the book, a very true approach to the book, the original material. So we will have to deal with trying to erase the image that David Lynch did so we can propose our image. As much as I liked Lynch's version of the film, I've been waiting for someone to come along to do a stronger adaptation of the book, and I'm happy that it's finally going to happen. He then adds that he would definitely be interested in making the film in 3D. I'd love it to be 3D, of course. It's the kind of movie that has the scope to be 3D. Will they do it in 3D? I'd push for that, but I don't know. As a viewer, I've just been watching Avatar with my kids twice in the theater already and had a blast. It's an amazing experience. I think Dune could work great in 3D if they do it at the same quality that Cameron used in Avatar. I'm getting pretty excited about this new Dune film. I know it's in the early stages and has a ways to go before we get to see it, but it seems like everything is headed in the right direction.